Continuing with the companies I met at AmmanTT 2012, I had the chance to sit down with Gaith Kawar and Odeh Haddadin from Taktek games, the story of this venture is an interesting one, it starts back in 2008 when Gaith Kawar the current CEO and Co-founder launched a company called Zero3 Digital which is a website design and development company based in Amman, Jordan. Gaith remembers how it all started with 3 employees. It was co-founded with his brother Yazan Kawar who is now the Creative Director. 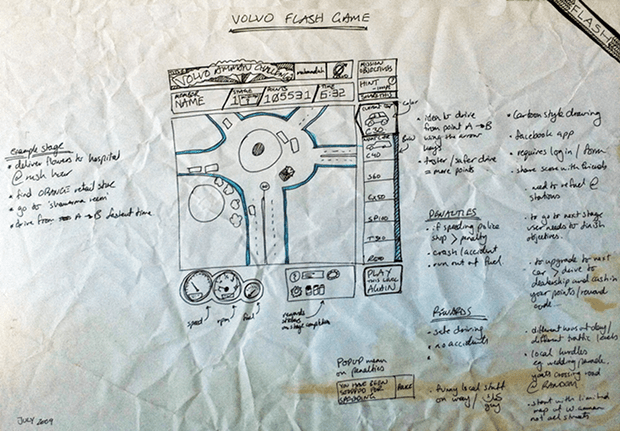 Then in 2009 a breakthrough moment happened “we were approached by a client that wanted a branded game for volvo, after doing the research and completing the game [it was designed for facebook] we realized that we can make money out of this” stated Gaith. So since he already had a ready made game Gaith decided to go look for investors and show them the game, his plans were actually to add a department as an extension to Zero3 that develops games, they weren’t really considering a separate gaming company. 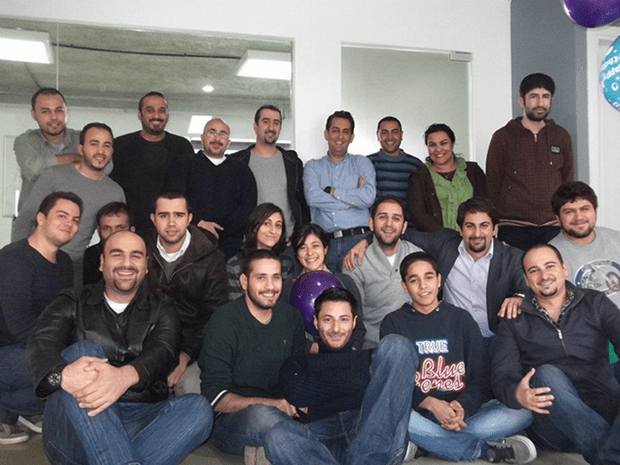 After registering the company they went on to hire the team, currently they are a team of 22 people and planning on hiring 10 more by the end of the year. The core of the team are designers, developers and 3d designers/animators, with a couple of business development people such as Odeh. Taktek team - Gaith 4th from the right standing against the wall. And Odeh 2nd from the right in the middle row. In January 2012, Taktek announced that one of their games “My Marbles” is expected to be published in the summer of 2012 by chilingo. If you don’t know chilingo they are the global premium game publishers (part of EA Games) that published games such as Angry birds and Cut the Rope among others. My Marbles will be available for iOS and Android (no pun intended! ), however they can be ported to other platforms such as Playstation, XBOX, etc… which is something that they are looking forward to do in the future however they want to find the right publishers first. They are also in talks with another global publisher to publish a second game called Replanet, they couldn’t get this game published with chilingo because each publisher has a set of requirements according to their portfolios. However they are hopeful to publish this game by summer 2012 as well, unfortunately the publisher’s name remained confidential. We’ll have to wait and see how it works out for them. So with all this good news, Taktek games became bigger than zero3, the first company they founded, and in March 2012 Taktek acquired zero3, however they are both still running. All in all they’ve raised four rounds of funding throughout the years, although Gaith admitted that the funding wasn’t secured through the normal structure of raising capital. I asked Gaith how a company in Jordan was able to reach a publisher such as chilingo, and he simply replied “At the Game Development Conference that was held in San Franscio last March.” They went there with the target of getting both of their games published with chilingo, and they ended up meeting 18 publishers and getting 12 offers. Not bad! Gaith explained the “long” process of getting approved with a global publisher such as chilingo. What helped Taktek is the fact that both games were completely developed “the more complete the demo is, the higher your chances are. With chillingo we had four people playing our game just to decide whether or not they would continue discussions with us or let us go.” explained Gaith. Once the game got pushed on to higher management and all the agreements were finalized, chilingo did some quality testing and provided Taktek games with comments and feedback in order to produce a better gaming experience for users and increasing its chances of succeeding. Obviously publishers don’t give you all that out of the kindness of their hearts, they eventually share the revenue with the game developers. Gaith wouldn’t say how much the exact breakdown was but he did say “we get a big chunk!”. Thats not bad if you think about it, these two games had a life cycle of five months from start to finish. So if they keep working on cool new ideas and getting them ready to be published with respectable companies, sooner or later one of them will turn out to be a big hit just like angry birds. Since it’s such a new industry in the region talent is still lacking, and this is one of the major setbacks. Gaith admitted that they hire web designers/developers and train them on game design. So whenever someone leaves its a great hassle to find replacements. “The ecosystem still needs time to develop.” explained Gaith, stating that in the past some of his designers left to start their own gaming companies, which he views as good thing because it’s helping the ecosystem. Now its a hassle to replace talent, but if this trend keeps going on in a couple of year’s time instead of receiving one applicant they will be receiving five for a specific position. Throughout our discussion we brought up the startup scene in the region, so I wanted to know his thoughts on entrepreneurship in genreal and what kind of advice they have to offer to would be entrepreneurs in the region and Gaith’s number one advice is “Find a mentor, don’t ask your friends, ask people with knowledge and experience in the field and get their advice and input. I’ve had a lot of mentors throughout my career, I call them up all the time and talk with them to get feedback. It’s amazing you can spend hours talking and one sentence could change everything. I understand some people shy away from approaching mentors because they think that a person might be busy or wouldn’t offer help because he is famous or something, but you have nothing to lose, keep trying to till you get in touch with the person you would like to talk to.” stressed Gaith. Second tip is “get a good team, if you don’t have the full team please don’t start.” Said Gaith. When it comes specifically to the gaming industry, Gaith explained that there is no excuse for people who are serious about starting a company not having at least one ready made game. “We use unity 3D, its no secret you can download it for free because they want to help the community. So there’s no excuse for people not to have a game ready, I find it surprising when developers come in for a job interview claiming that they like games and want to work with us but they don’t have anything to show. Everything is available online, from free tutorials to forums and blogs. Had these people came in with a ready made game I would’ve hired them on the spot! The simplest thing anybody can do is just copy another game and test it, the knowledge they will receive will be huge. This is one of the very few fields where you can prove to people what you can do and not just show them a CV.” Said Gaith very passionately. Remember the breakthrough that happened with Gaith at the beginning of the story, well this is one of the first sketches of the game that the client requested in 2009. The funny thing about this game is that not only was it never published it was never purchased by the client! But in a twisted turn of events it spawned Taktek Games. I want to wish Taktek the best of luck in the future with all of their projects and hope they can continue to come up with interesting ideas. If you’d like to stay updated with on Taktek games and other startups from the Middle East, register to receive our newsletter.